This unassuming elegant French club chair solo is from the 1950s . 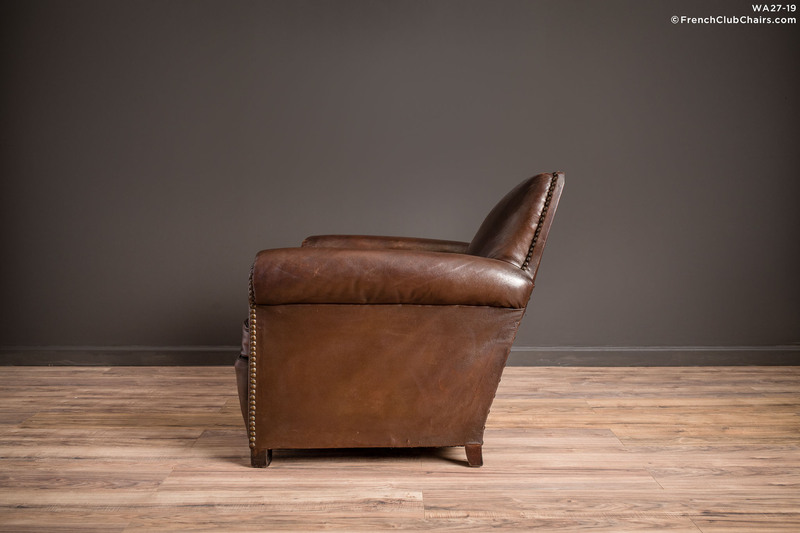 It has had the cushion restored with our signature Pyrenees leather. Clean lines and the lovely nail work highlight its graceful lines. measurements: depth-37", width-33", height-32", seat depth-21", seat width-19", seat height-15"